With three groups in the Overwatch World Cup Qualifying rounds already decided, China and Australia made their respective regions proud as they qualified with unlikely rosters that were relatively unproven before the weekend. Even though there was a three way tie for second place, Australia found a lifeline with their map wins and snuck through one of the most competitive Group Stages so far. Heading to the Knockout stages, we’ll take a look at the most important players to watch as they continue to represent their country in November. Quite possibly the biggest takeaway from the World Cup Qualifiers this weekend was the dominance of China after suffering a year of dampened expectations. After the only Chinese team in the OWL went 0-40 in Season One, many Chinese fans were questioning the true identity of their team and Team China responded triumphantly in this round robin, maintaining a 5-0 match record in the process. That 5-0 didn’t come without it’s fair share of blemishes as Thailand, Australia and Denmark took the Chinese squad to five games in each of their series. Overall, the performances from this new look Chinese squad has been a revelation with their fanbase. Leading the charge for their team was the star Tank duo of LGD Gaming’s Xu ‘guxue’ Qiulin and Team CC’s Ma ‘Lateyoung’ Tianbin. Even with their previous identity, China have found success recruiting from within the region and their premier talent has risen to the forefront as Team China have a new demeanor heading into the Overwatch World Cup Knockout Stages. Their success so far shouldn’t lead to complacency though, considering their DPS core has yet to really prove themselves against the more top tier talent that the international teams have to offer. To compete against the most cerebral teams, the initiative must be taken from DPS and the triple tank, triple healer compositions China pulled out in crunch situations can be dismantled by better opposition. If you had to describe Australia’s performance during the Group Stage in a few words, scrappy and persistent are definitely adjectives that come to mind. Outside of a rather lopsided loss to Denmark, Australia did their absolute best to maximize their advantages against all group stage opponents, closing out Thailand and Sweden in perfect 4-0 series. Those clean matches would be the difference maker for their Qualifiers hopes as they finished their game record at an impressive 14-7 map record, despite going 3-2 on Match Record on the weekend. The objective for round robin is all about consistency and Australia made that formula work for them against a wider variety of competition. Even though Denmark looked uber impressive after their series win over the Aussies, Denmark failed to close out any of their series in 4-0 fashion, even dropping points to a misfiring Team Spain that were able to minimize the match series to a 2-1 loss. When Australia are ahead and confident in their play, they rarely lack the cohesion to go for the jugular as a team and that ability to flip momentum will bode well for them during the Knockout stage. Custa continues to be a rock for his team on Support, but the main surprises for their squad so far have been Ashley ‘Trill’ Powell on Main Tank and Felix ‘Ckm’ Murray on DPS. 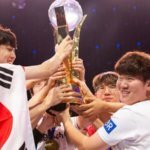 Even though their team Blank Esports didn’t finish high for the Overwatch Contenders: Pacific Series, the trio of HuS, Ckm and Trill have impressed immensely for Team Australia and their improved performances against better competition may be the difference for either of those players to receive Overwatch League trials after the World Cup is decided. Around the OWL: Neptuno quits the World Cup Spain squad, Australia getting Overwatch League team?